For quality granite and marble benchtops! 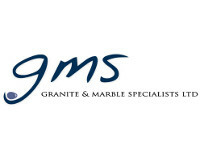 Granite and Marble Specialists Ltd are the only manufacturers of granite and stone benchtops South of Christchurch. With in-house manufacturing & more than 30 years industry experience, we offer highest quality workmanship and cater for customised requests. We offer granite, marble and engineered stone benchtops with a perfect finish. Granite and Marble Specialists Ltd value their customer inputs and requirements, hence we are willing to go that extra mile to provide an exceptional service & customer satisfaction. Call or email for more information and one of our friendly staffs will be glad to help.